Because of my recent obsession about everything that has to do with USB charging I’m reviewing several USB chargers. 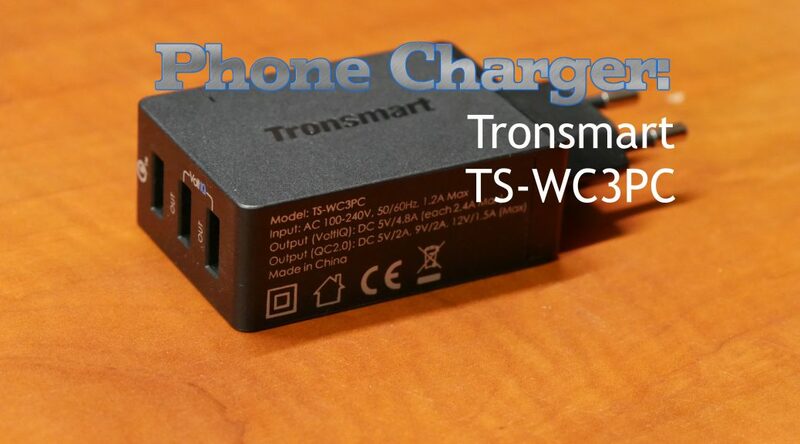 First up is the TS-WC3PC from Tronsmart. A 3 port plug style charger with 3 ports, Quick Charge 2.0 and 42 watts of total power. Take a look at my video to get a decent view of the unit and my test setup used in stressing the unit. In the package shown in the video you get the charger itself and a 6FT thick micro-usb charging cable. That cable alone would cost you about $8! And during my tests it came out as one of my top rated USB charging cables! Take a look at my post about cable brands here. I bought my charger from aliexpress, you can order it here. Although the video should show you a clear picture, here are some further shots of the charger. I used to above setup to put a 5v 2A load on all the ports at the same time but I also used a EBD-USB to do some intensive testing. 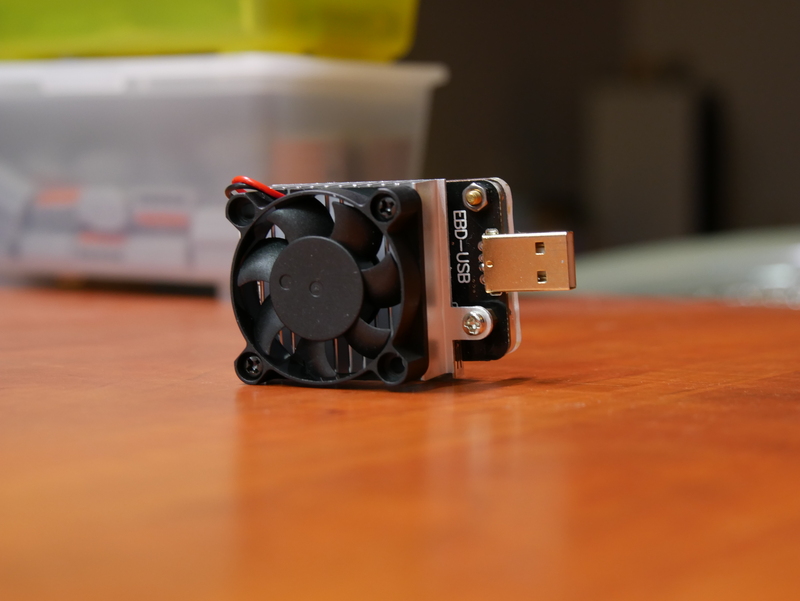 The EBD-USB is capable of loading a USB charger up to 4A! Much more then any regular device will ever ask for but it will highlight how much the one port can deliver and how well the device behaves with overloaded ports. 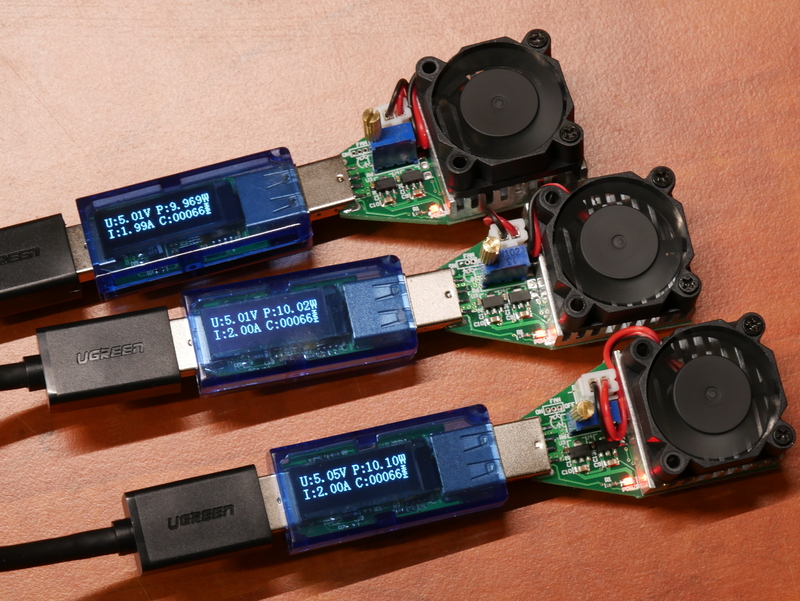 The EBD-USB is also capable of testing Qualcomm Quick Charge 2.0 and 3.0 chargers allowing tests at 5v, 9v and 12v. As you can see in my video, during the tests I use 50cm USB3 extension cables. The voltage drop in these cables is about 0.05v to 0.10v. Please that into account when reading the graphs below. The test of the middle normal port. As you can see voltage stays very good and it goes all the way up to 4 Amps! That’s the maximum the EBD-USB can test. Very impressive, most other USB chargers would have cut power to the port long before that. The Qualcomm Quick Charge 2.0 certified port is a bit better behaved. It cuts off the test device around 2.5 Amps. But voltage and load stays very consistent and it does very well. 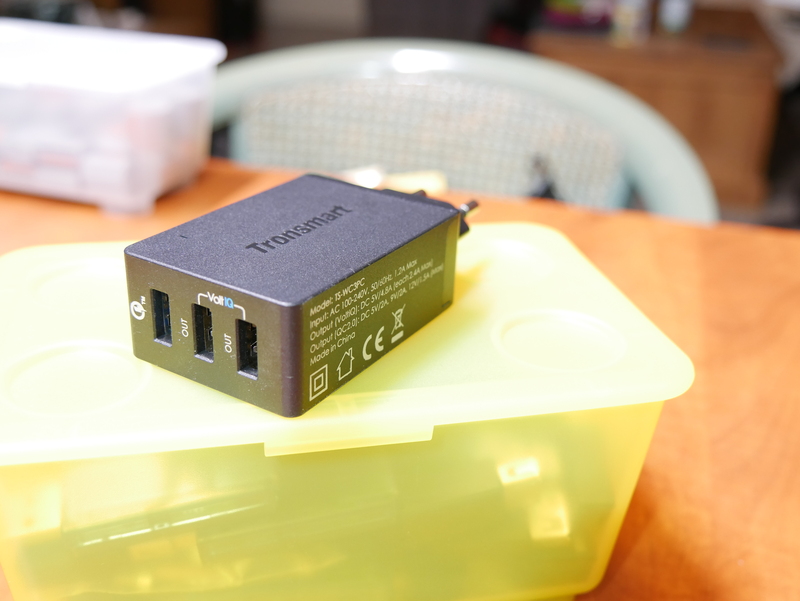 This is the Tronsmart charger connected to the middle “normal” port and a 5v 2A load connected to the other ports. As you can see the charger cuts off the port earlier then the 4 Amps as you can see above. With that said the charger can deliver a very good amount of power in total. Easily hitting what it’s rated for even when just using 5v devices. Here is the same test but with the EBD-USB connected to the QC 2.0 port. Since this port cuts off quicker the results don’t change much in regards to the other tests. It shows a very stable voltage at any output. 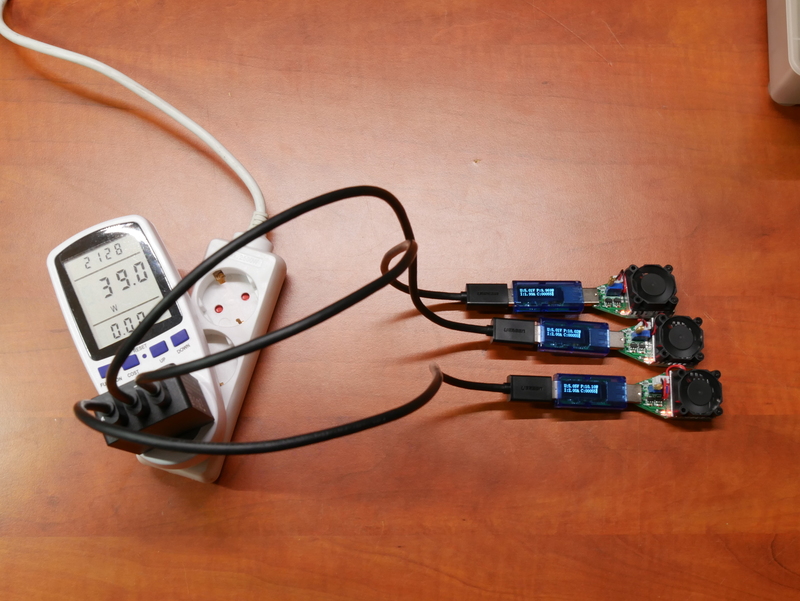 The same test but with 2x 5v 2A connected to the other ports. The output cuts off quicker but as stated above it’s still able to reach up to 12v 2.2 Amps which equates to more then 24 watts, well above the officially needed 18 watts. 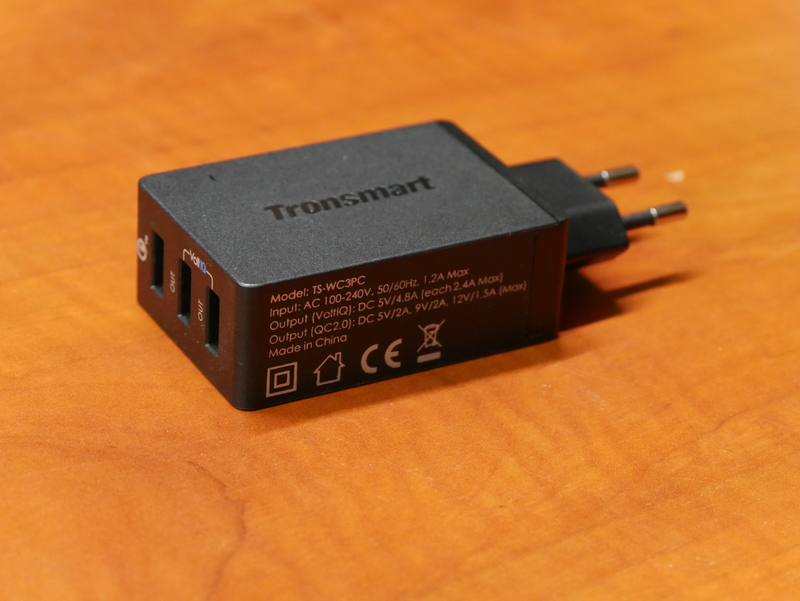 This Tronsmart TS-WC3PC does very well. No matter what I threw at it regarding load, even with Quick Charge thrown into the mix it performed very well and always above what it was rated for. I’m sure that will have a direct effect on the temperature of the unit but even during a 10 minute stress test with Quick Charge 12v and 2x 5v 2A at the same time it never got hotter then 55 Celsius. Excellent and very much recommended! If you wish to buy it yourself you can get it free shipping here!